A healthy, refreshing cold soup to energize and cleanse your system. 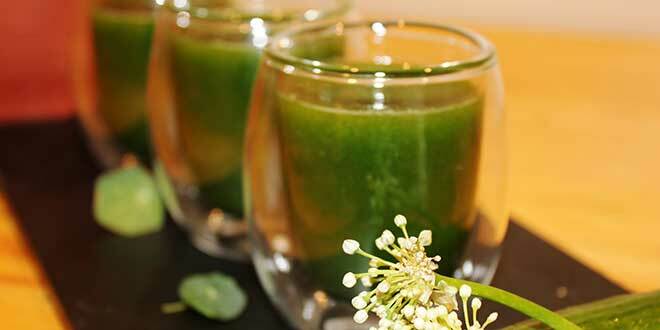 Green cucumber shots is an interesting concoction of cucumbers with spices and herbs like basil, cilantro, garlic and a tangy bit of lime, for a nutritious, detox drink! 1.Blend cucumbers, garlic with 50 ml water until smooth puree. 2.Add romaine lettuce, parsley, basil to the puree. 3.Taste and season with sea salt and lemon juice as desired. 4.Serve with toasted bread slivers.